no one talks about the child’s father. takes control of her life in a dramatic turn of events. (1983, Woodland Hills, California, USA) wrote, directed and produced Going Back, a short film that premiered at the SXSW Film Festival in 2010. The film went on to screen at the BFI London Film Festival and Cannes Short Film Corner. As a film journalist and critic, he has written for Soma Magazine, AOL Moviefone, Slant, and Little Joe. 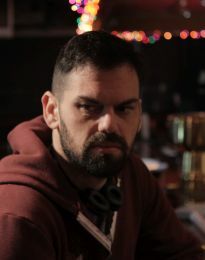 To produce his first feature-length film, Easy Living, Adam obtained a Jerome Foundation production grant and a Film Independent AbelCine grant. He lives and works in Brooklyn, NY.